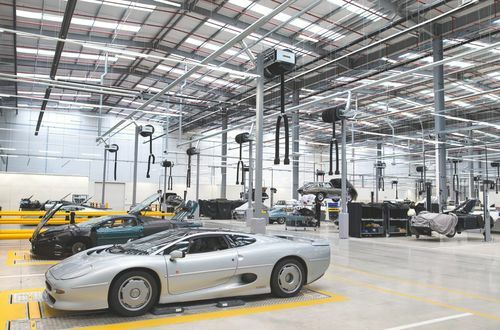 Jaguar and Land Rover are two iconic automotive companies looking for graduate talent. Jaguar and Land Rover have been at the forefront of technical innovation of vehicle development for more than six decades. You can be a part of that history by joining one out of twelve available Graduate Programmes in Product Engineering, Manufacturing Engineering, Commercial Engineering, Engineering Quality, Design, Purchasing, Human Resources, Finance, PR, Supply Chain and Logistics, Information Technology, Property. Psychometric tests are a key component of Jaguar/Land Rover Application Process. Depending on the Graduate Program’s route you are pursuing, you will be asked to take : Situational Judgement Test, Verbal Reasoning Test, Numerical Reasoning Test, Diagrammatic Reasoning / Logical Test. These tests are aiming at verifying your logical thinking capacity, as well as calculating skills. Jaguar/ Land Rover Situational Judgment Test is a set of questions assessing how you might react to hypothetical events and situations that might be encountered in the Jaguar/ Land Rover workplace environment. Based on your answers to these questions it will be verified how aligned you are with Jaguar/ Land Rover values and behaviors. So do your research and try to memorize them by heart ( might come in handy in the future!). The Jaguar/ Land Rover Verbal Reasoning Test comprises of a series paragraphs which you will be required to read and a set of questions matching the information provided in paragraphs. Your answer options will be True, False or Cannot Tell. The multiple choice Jaguar/ Land Rover Numerical Test assesses your ability to evaluate, analyze, and interpret numerical information that will be provided to you in charts, graphs, and tables. You will have limited time to find a correct answer, so all the calculations like percentages, ratios, and basic arithmetic should be executed quickly and accurately. These tests will assess your sequence and pattern identification skills, logical thinking and ability to approach a problem and how good you are at solving it. But be careful - it’s easier said than done. You have a limited time to do it - a minute or less per question. The difficulty of questions is also likely to increase gradually. Therefore, good timing is vital. If everything went well you would be invited to one of the Jaguar/ Land Rover headquarters to attend the Assessment Centre. On that day you will be challenged with a mix of group and individual exercises. These interviews might take up to 45 minutes in total. It’s a standard one-to-one interview during which you will need to talk about your past achievements and future plans. A good knowledge of the company Behavioural Framework and a visible interest in learning new things should earn you a few points. Technical parts of Jaguar/ Land Rover Interview include questions directly relating the job position and industry you are applying for. One of the possible scenarios could be a situation when you need to plunge into a managerial role, during which you receive a bunch of emails that have to be responded in accordance with the business strategy the Jaguar/ Land Rover company is executing. You will be given a topic and some time to prepare during the assessment centre day. The presentation usually is a 10 minute presentation followed by series of questions. If you don’t feel confident giving speeches, it is probably wise to practice your presentation skills beforehand. You can check the Assessment Centre Guide, for useful tips on how to prepare.